We begin this week for a vital PSA aimed at the fan of ABC's Zero Hour -- that show has been cancelled after airing just three episodes. In other news, fresh iterations of SimCity and Tomb Raider arrive this week for some old-but-new-again gaming. Look below for the highlights this week, followed after the break by our weekly listing of what to look out for in TV, Blu-ray and videogames. 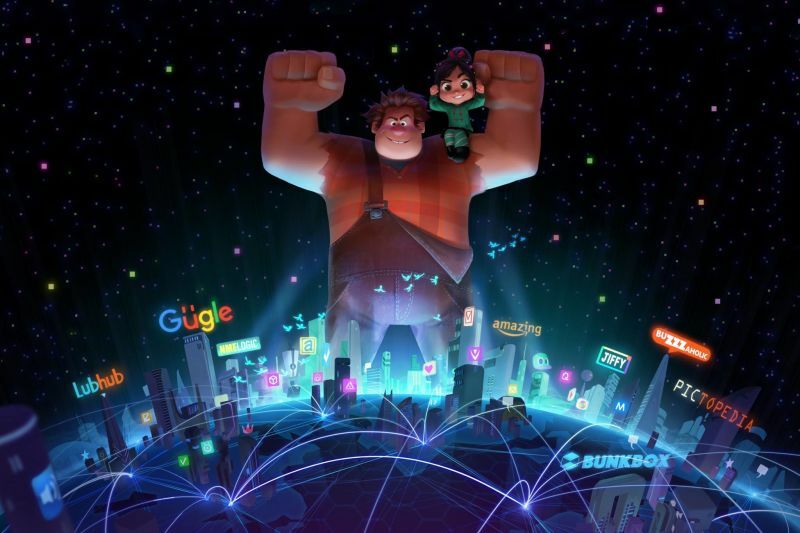 In addition to Academy Award winning animated short Paperman, Wreck-It Ralph promises enough classic videogame references to alight nostalgia in pretty much anyone. Ben-o-vision certified, this story of an 8-bit villain who wants to be a hero instead seems a good fit for kids and adults alike. TBS' reality competition wraps up this week with one contestant ready to be named King of the Nerds. We haven't been keeping up with the series around these parts but reviews have been shockingly positive and it's already been renewed for a second season. Sure some (ok, most) would agree the show has fallen off a bit, but if there's one thing you can count on to revitalize SNL, it's an episode featuring Justin Timberlake. Hopefully we can count on yet another Lonely Island collabo alongside followups to classic skits like Come On Down to Liquorville, but who knows. 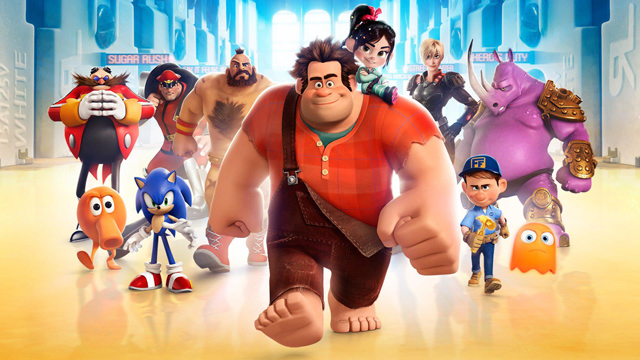 Wreck-It Ralph has been released in a lot of places worldwide, my country of residence included, and I really found it entertaining and enjoyable. If you like video games at the very least and played a couple of games when they were still all pixelly and in 8-bit form, then chances are you’ll like the movie, too. 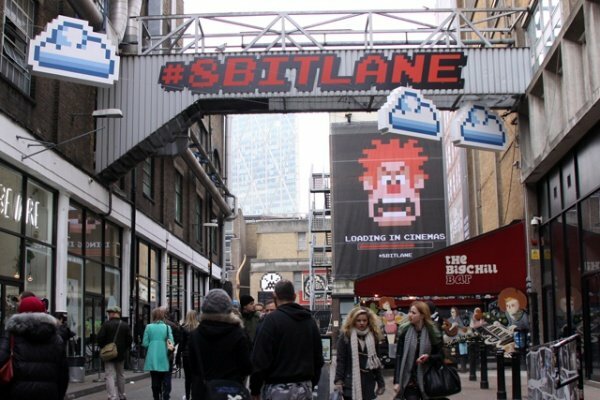 The film doesn’t come out in the UK until February 8, 2013, so Disney is going the extra mile – or is it the extra lane? 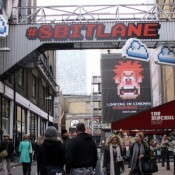 – to promote the movie by setting up 8-bit Lane in London. 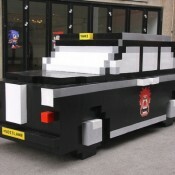 It’s basically a street art exhibit where, if you look closely, you’ll spot a few things that aren’t as they should be. 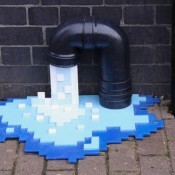 For example, water flowing out of a pipe looks suspiciously pixelated. 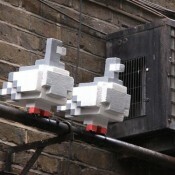 Two pigeons on a pipe also get treated to some 8-bit action. 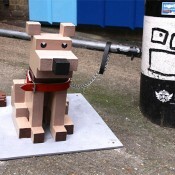 All of the sculptures on 8-bit Lane were created by Aden Hynes, who is Disney’s film production sculptor. Check out more of the exhibit in the gallery below. 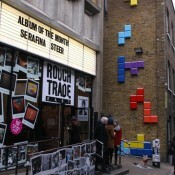 Photos taken by Michael Reeve. 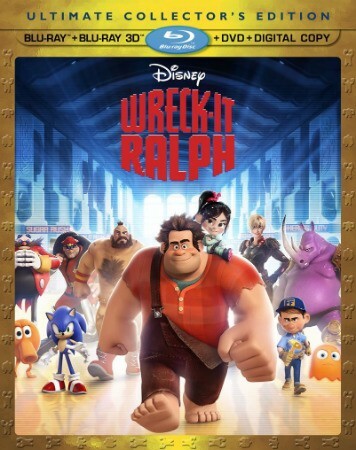 Following the lead of other studios like Fox with its Digital HD push, Disney has announced its first movie that customers will be able to buy on download and streaming services weeks before the disc is released. 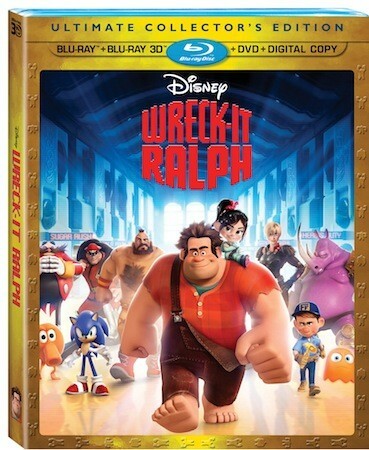 Wreck-It Ralph is a worldwide hit, bringing in $277 million and counting at the box office, but the first time you'll be able to snag it (legally) for home viewing in the US is February 12th in HD and 3D on supported services. The four disc Blu-ray 3D combo set is priced at $39.99 and will ship nearly a month later on March 5th, along with the 2-disc Blu-ray ($31.99), DVD and standard def video on-demand versions. Disney hasn't tipped its hat about any digital efforts itself to replace the Online streaming site it shut down in November, but clearly it's preparing for a multi-format future -- we'll see if we hear any more interesting details during CES in the coming week.